The Main Comb from CM Equine is a triple function comb for horses which combs, thins and cuts the mane and tail easily and effortlessly. It comes with an easy to remove blade and a comfortable handle, with an improved blade angle for a better cut. For replacement blades for the Main Comb, click here. 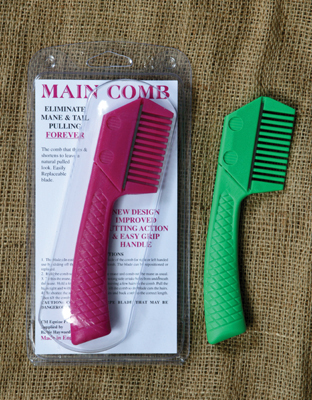 There are currently no questions for CM Equine Main Comb - be the first to ask one!